The hosts go 1-0 up in Dubai. Image - @EmiratesCricket/Twitter. Hosts UAE recorded a three-wicket victory over Nepal in a low-scoring encounter in the first ODI between the two sides held at Dubai on Friday. Skipper Mohammad Naveed gave UAE the perfect start with the ball after the hosts elected to field first at the ICC Academy. Naveed dismissed Nepal opener Gyanendra Malla for a duck in the very first over of the match before dismissing his partner Binod Bhandari in the seventh over. Nepal skipper Paras Khadka and Sompal Kami tried to resurrect the innings but the visitors were unable to recover after the early blows. Leg-spinner Imran Haider and medium pacer Amir Hayat shared five wickets between themselves as Nepal’s batting continued to slide. In reply, UAE’s innings started in similar fashion to Nepal’s with openers Chirag Suri and Ashfaq Ahmed falling cheaply. Wicketkeeper batsman Ghulam Shabber top-scored for the hosts and was looking good on 30 before he became the first victim of star Nepal leg-spinner Sandeep Lamichhane. 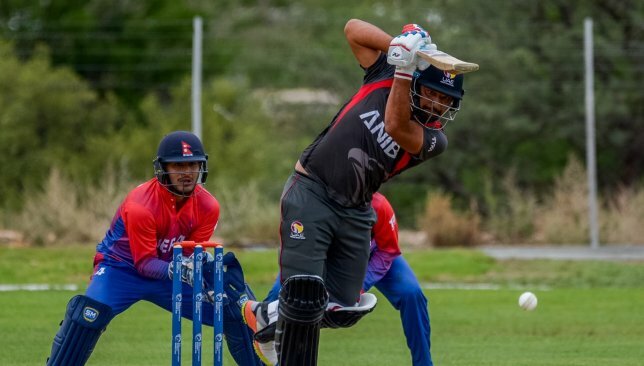 Lamichhane also dismissed Fahad Nawaz while Khadka removed Muhammad Usman and Mohammad Boota in quick succession as UAE’s middle-order collapsed dramatically. From a precarious position of 73-7, Haider and Hayat formed an unbeaten stand of 43 to guide the UAE home in the chase. The pair backed up their excellent work with the ball with a fine partnership under pressure to hand UAE a 1-0 lead in the three-match series. The second ODI between the two sides will also take place at the ICC Academy on Saturday. Travis Head top scored for Australia with a 84. 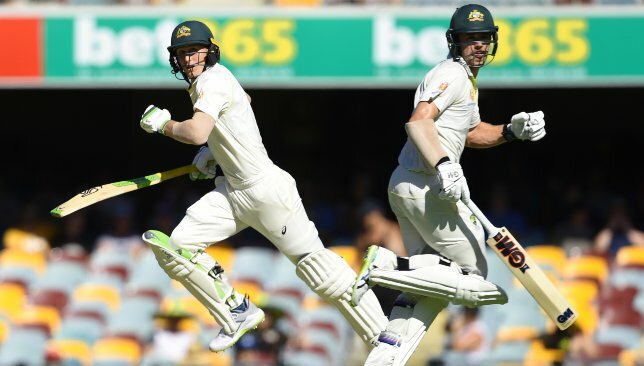 Half centuries from Marnus Labuschagne and Travis Head helped Australia consolidate their advantage in the first Test against Sri Lanka at Brisbane. The hosts had seized the initiative on day one by bowling the tourists out for just 144 runs and were firmly in the driving seat by the time the second day’s play was completed. Labuschagne made 81 while Head scored 84 as Australia posted a total of 323 runs in their first innings. By the time stumps were drawn on day two, Sri Lanka had been reduced to 17-1 in their second innings. Sri Lanka made a promising start in the first session at the Gabba on Friday with two quick wickets. Lahiru Kumara ended a fine knock from Marcus Harris (44) while Suranga Lakmal dismissed night watchman Nathan Lyon to reduce Australia to 82-4. However, that was as good as it got for the tourists on day two with Labuschagne and Head forging a 166-run stand for the fifth wicket. It was Sri Lanka all-rounder Dhananjaya de Silva who finally broke the partnership by snaring Labuschagne’s wicket. A superb stand between Labuschagne and Head. Australia debutant Kurtis Patterson made 30 in his maiden Test innings before he fell to Lakmal who also ended Head’s vigil at the crease on his way to a five-wicket haul. 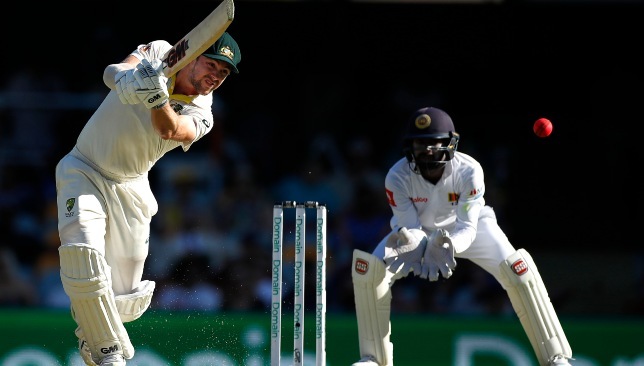 Australia’s tail did not last too long although Mitchell Starc battled hard with an unbeaten 26 to help the hosts take a first-innings lead of 189 runs. Sri Lanka’s openers Dimuth Karunaratne and Lahiru Thirimanne then had to face a tricky spell of six overs before the close of play but disaster struck when the former was dismissed by Pat Cummins with the last delivery of the day. KL Rahul and Hardik Pandya (l). 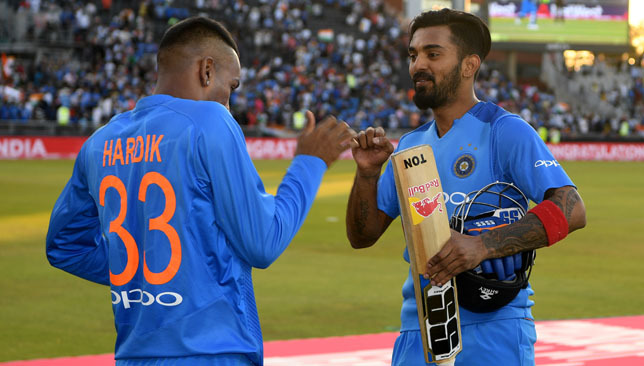 All-rounder Hardik Pandya will join up with India’s ODI squad in New Zealand while KL Rahul will form a part of the India A squad after their interim suspensions were lifted by the BCCI. 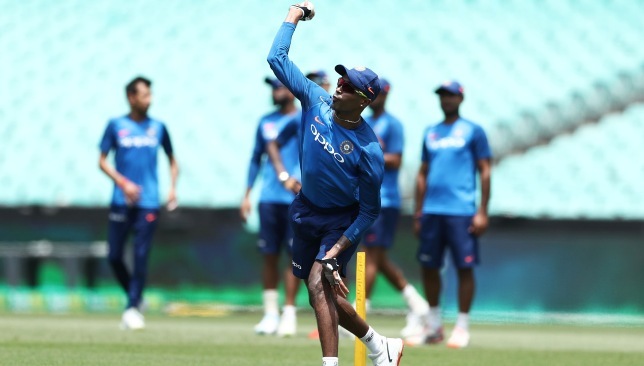 Pandya will fly out to New Zealand at the earliest to join the India squad which is currently involved in a five-match ODI series against the hosts. Rahul, meanwhile, has been asked to join the India A squad which is currently battling it out with the England Lions in a one-day series in Thiruvananthapuram. Rahul will be a part of the squad for the final three matches of the series. The two players had been indefinitely suspended after their controversial remarks on a television show and were made to return home subsequently from India’s tour of Australia. On Thursday, the BCCI lifted the suspensions on the duo with immediate effect and they will now be available for selection pending the appointment of an Ombudsman by the cricketing body. Relief for India all-rounder Hardik Pandya. The inquiry opened against the two players by the Committee of Administrators (CoA) had been held up due to the BCCI Ombudsman post lying vacant for some time. The matter was ultimately referred to the Supreme Court of the country who deferred the hearing last week. The Court had asked the CoA to wait for PS Narasimha’s appointment as the new Amicus Curiae in the case before making a decision. The interim suspensions of the two players were lifted ultimately on consultation with Narasimha. “The above matter and decision has been taken with the concurrence of the amicus curiae, Mr PS Narasimha. In view of the above, the suspension orders dated 11.01.2019 is immediately lifted pending appointment and adjudication of the allegations by the BCCI ombudsman,” a BCCI release stated.